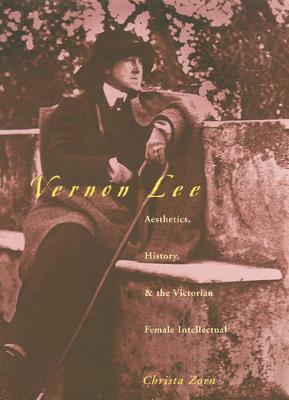 The subject of renewed interest among literary and cultural scholars, Vernon Lee wrote more than 40 books, in a broad range of genres, including fiction, history, aesthetics and travel literature. Early on, Lee established her reputation as a public critic whose unconventional viewpoints stood out among those of her contemporaries. To feminist and cultural critics, she is a fascinating model of the independent female intellectual, who, as Desmond MacCarthy once put it, provides "a rare combination of intellectual curiosity and imaginative sensibility." In this critical study, Zorn draws on archival materials to discuss Lee's work in terms of British aestheticism and in the context of the Western European history of ideas. She contends that Lee's fiction and non-fiction represent a literary position that bridges and surpasses the Victorian sage and the modernist aesthetic critic. Through an approach which combines theoretical framings of texts in terms of modern feminist and cultural criticism with passages of close reading, the author champions Lee as an influential figure in late-19th-century British and continental European thinking on history, art, culture and gender. Christa Zorn An associate professor of English at Indiana University Southeast, New Albany, Christa Zorn teaches nineteenth- and twentieth-century British literature, women's studies, and critical theory. She has written articles on Vernon Lee and Lou Andreas-Salome.